Everyone - including the quartet had a great laugh as Ken tried his hand at dancing with Sherry during their wedding at the Syon House in London. A few years back we captured them during their pre wedding session in Prague. We not only had an amazing time on their session, but we stayed in touch and over the years became great friends. I was quite honestly surprised when Ken contacted me and explained that after Sherry had reviewed many wedding photographer portfolios from London that she had decided that myself and my team must come to London for their wedding. And who am I to say no to such a wonderful couple. So with the crew consisting of Cary & Kari (our amazing summer intern from Seattle) and myself, we traveled to London for a truly elegant and unforgettable wedding with our old friends. Location: Syon House, Syon Park Brentofrd, Middlesex TW8 8JF, United Kingdom. 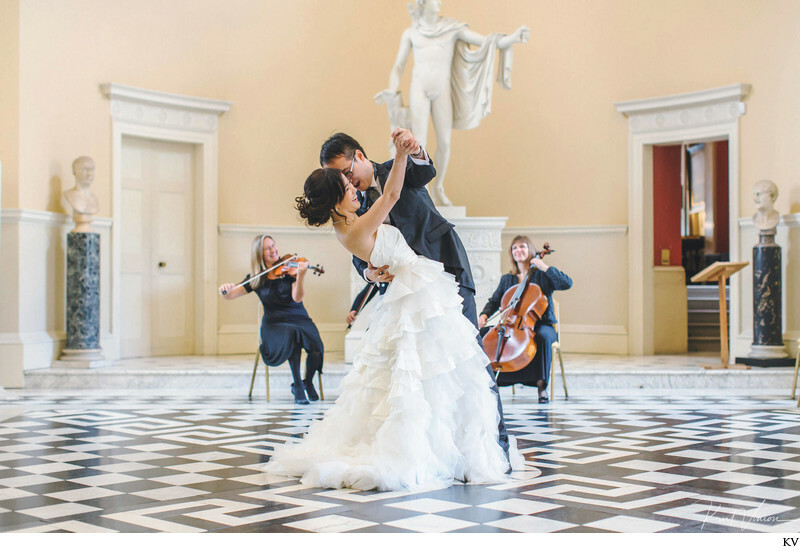 Keywords: 1st wedding dance (3), awkwardness (3), elegant couple (66), funny moment (9), London destination weddings (3), London weddings (3), marble floor (3), musicians (6), Syon House wedding (3).